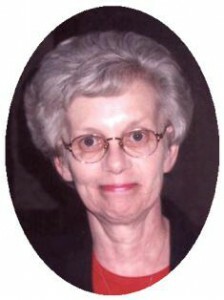 Judith A. Baake, 67, of Hollybrook Lane in Saukville died July 16, 2011 at the Horizon Hospice Inpatient Unit of Columbia St. Mary’s Hospital Ozaukee in Mequon, Wisconsin. She was born October 9, 1943 in Milwaukee to Jerome J. and Valborg Nydahl Burkwald. She married Arthur J. Baake of Milwaukee on February 12, 1966 in Milwaukee. They moved to Menomonee Falls and started a family together. In 1973 they moved to Saukville. Her husband Arthur preceded her in death in February, 2001. Judy was an active Boy Scout Leader when her boys were young, making sure they all made Eagle Scout. She painted ceramics, played the accordion and was a member of Aid Association for Lutherans, now Thrivant. Judy was a homemaker and caregiver, always putting others before herself and helping out in any way she could. She loved her boys, grandchildren and her canine friends. She is survived by her sons Brian (Manivanh Prasongsee) Baake of Saukville, Christian (Carrie) Baake of Port Washington, Mark (Robin) Baake of Sheboygan Falls and Richard (Jennifer Larson) Baake of Saukville. Further survived by grandchildren Taylor, Marielle, Colin, Cory, Cole, Samantha and Eric Baake, brother Rick (Marlene) Burkwald of Oconomowoc, canine friend Charlie, other relatives and friends. Pastor Pat Mulcahy will officiate funeral services 6:30 pm Thursday, July 21, 2011 at the funeral home. Interment Wisconsin Memorial Park, Brookfield. Visitation 4 – 6:30 pm Thursday at the funeral home. Memorials appreciated.